If you are in or around the Saratoga Springs, NY area, come out to Beekman Street tonight for the second First Friday Art Walk! There is a cute little shop on Beekman called Happenstance. 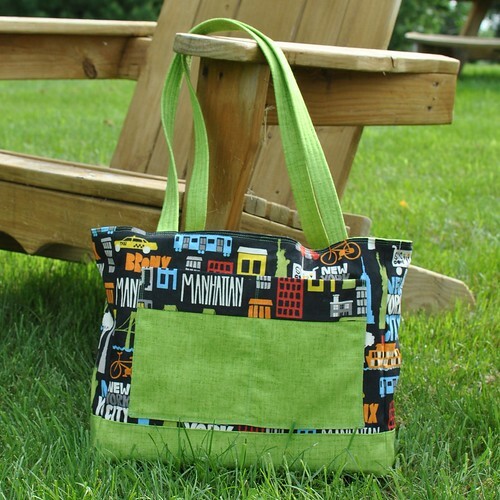 where I've started to sell bags and quilts. I will also have a photo album of previous quilts that I've made, in the event that someone is interested in a custom quilt. I will be at the shop tonight from 6-8, so stop by and say hi! This is one of my favorites. 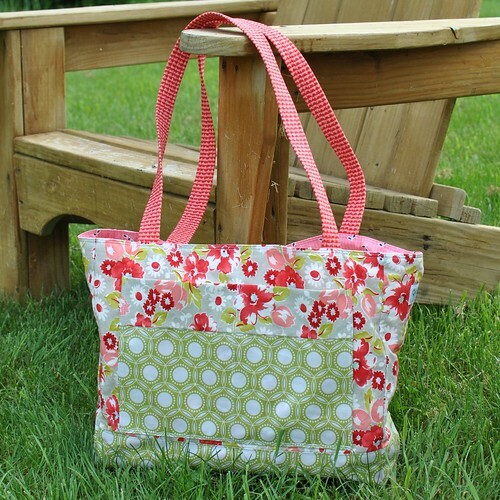 The Heirloom laminate pairs so well with the Ruby body and FMF lining! 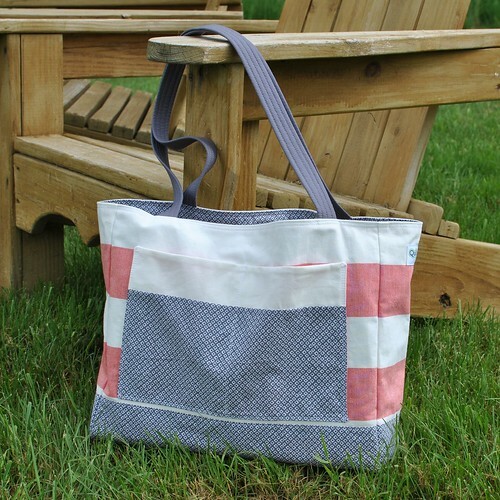 The striped body of this tote is made from an IKEA ottoman cover that I picked up for something like $2.50! I used the wrong side of the fabric, because I like the more subtle stripe. I couldn't resist this fabric when I found it - in the home dec section of JoAnn's! So fun! 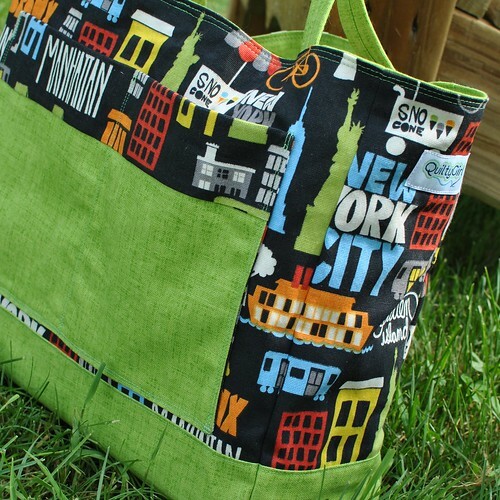 And the home dec weight is prefect for this bag. I may need to search for a laminate to pair with this print! Some FMF paired with more Heirloom laminate! I almost kept this one for myself! 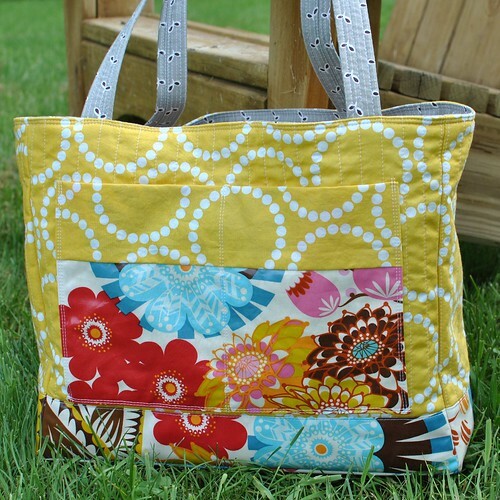 All of these totes were created the same way I made my Echino tote. 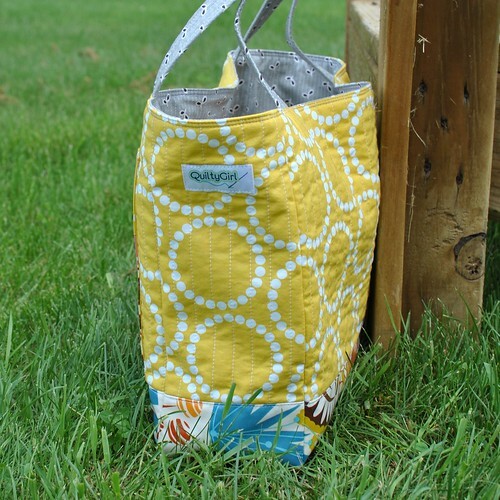 All of the totes have a magnetic closure, outer pocket that is divided into two sections, and an interior zip pocket. 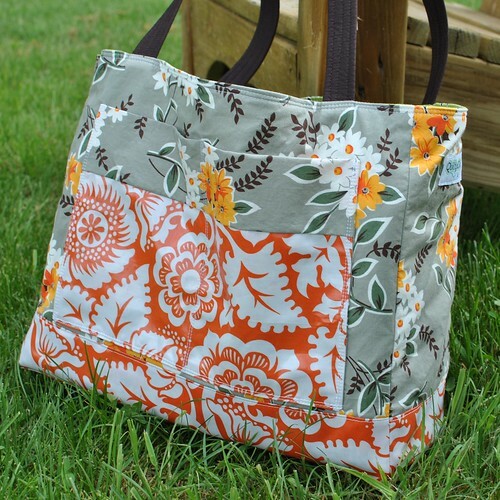 Now all this tote needs is a name! I'm thinking of doing a giveaway next week in return for naming suggestions. 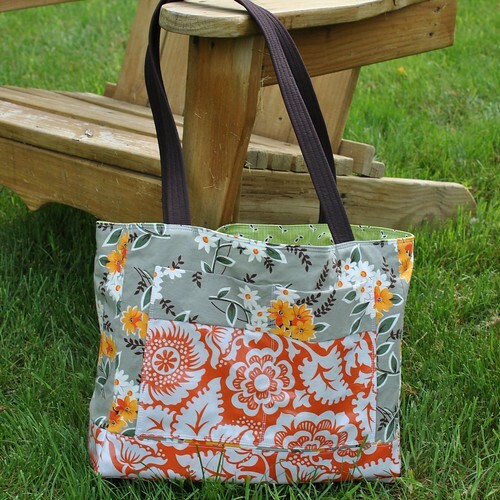 Stay tuned, and start thinking of tote names! I also have a few small quilts in the shop right now along with some quilted pillows. But I'll save those for another post. Have a great weekend, everyone! The My Memories giveaway is now closed and the winner has been notified. Thanks for playing along!